Darien Summer Nights continues Friday, Aug. 10 with a returning favorite, Harry Bergen. This summer he is the front man for Mods and Rockers, a band devoted to the classic rock music of the ’60s. 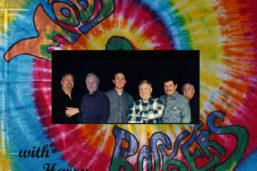 Mods and Rockers with Harry Bergen perform Friday night at Grove Street Plaza. Best known for their spirited renditions of Beatles classics, a fun night of great music is on tap. Pick up dinner and bring friends, we have an amazing night of 60’s rock that all ages will enjoy. Summer may be winding down but the concerts are in full swing. Darien Summer Nights is a free, weekly outdoor summer concert series at Grove Street Plaza. Music begins at 6 p.m. and continues until 8:30 p.m. The concert series is sponsored by Baywater Properties, Grove Street Plaza and The Darien Chamber of Commerce. Come on down and remember — shop and dine local! The Darien Youth Commission invites you to its 27th Annual Tilley Pond Model Boat Regatta on Saturday, May 4. (There is no rain date scheduled for this activity). — an announcement from the Darien Youth Commission Registration is scheduled to start at noon, non-racing judging will take place from 12:30 - 1:00, and the races will begin shortly after 1:00. Country Music singer Doug Allen will perform outdoors from 6 to 8:30 p.m., Friday, Sept. 14 at Grove Street Plaza.